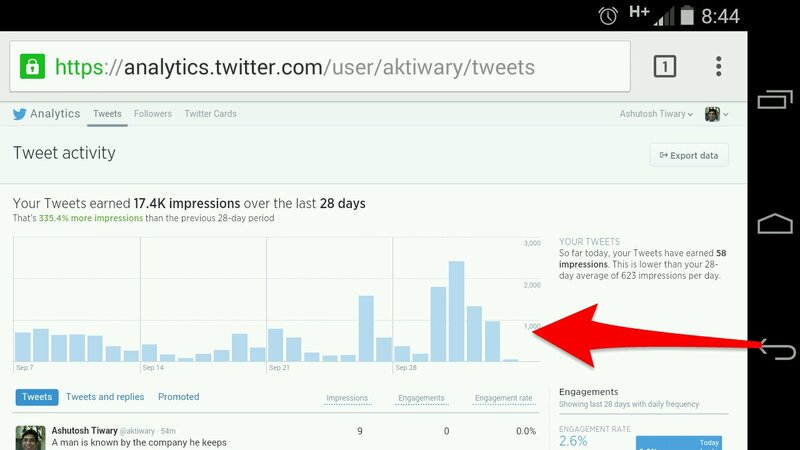 I got introduced to analytics.twitter.com a month or so back. While it make sense for the businesses is no brainer, does it make sense for individual users, had me intrigued. I have been tracking it everyday for the past 30+ days. Yes, everyday. 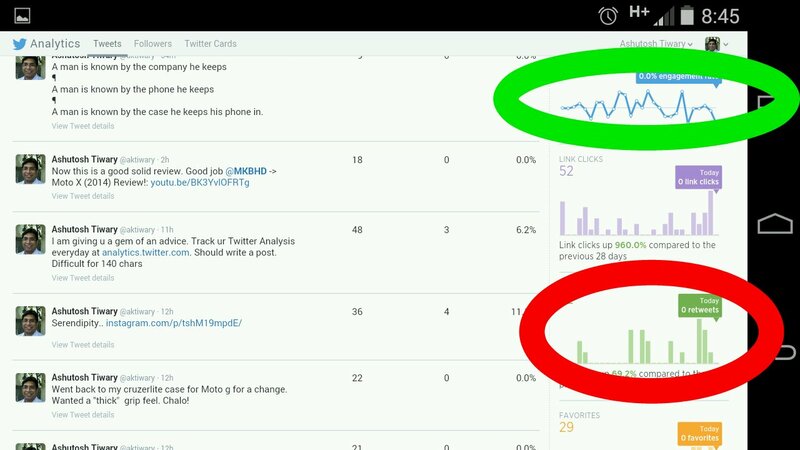 This statistics is basically your dashboard of the impressions your tweets create. Does not mean much if you are tweeting mundane things (what I do most of the times!) but ofcourse, if you have a serious message, you would want to maximise your impressions. Whether your tweet is making that impression or you need to alter the way your message should be spread. However, for majority of the individual users not running a business or a blog, this dashboard is a vain thing. That’s basically bull-crap. What you should be bothering about is the green oval and not the red one. The green one, aka the engagement ratio is basically the crux of the matter. 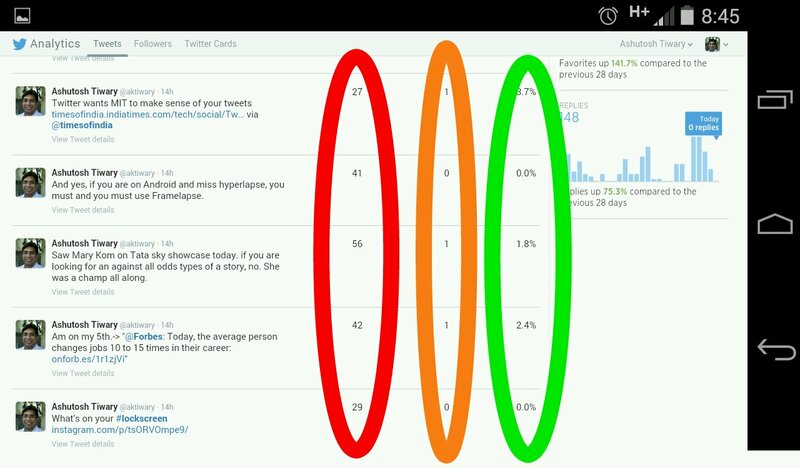 How many times people engage with your impressions tells you, whether people are finding your tweets worthwhile or not. It’s everything. It needs to go up to engage meaningfully with your audience. Another important thing to check is, whether your impressions result into engagements. Having an impression of 200 with 3 engagements or having an impression of 50 with 10 engagements. Your call. Analyse your tweets, track and make your call. Basically all this makes sense to a blogger, business or an enterprise but remember, there are people following you and your tweets go in their timeline. This entry was posted in Apps, Business and tagged Effectiveness. Bookmark the permalink.